Welcome to the Wren Academy website Recruitment Section. We know that our website is the first point of call for many people interested in a position at the Academy and we hope you find it useful and interesting. You will see from this website that Wren is a dynamic and exciting place to work. The Academy has come a long way since the school opened to its first Year 7 in 2008. The school has now reached its full complement of secondary age students and became an all through school when our primary phase opened to its first cohort of Reception children in September 2015. The school is proud of its successes over the last six years. In terms of external recognition, we have been given two outstanding Ofsted judgements and achieved highly in GCSE and AS Level examinations. We have also established a national reputation for excellence in teaching and learning, developing an approach which focuses consistently on helping young people to become better learners. Our extra-curricular provision is another aspect of Academy life we are very proud of. All students have three hours of enrichment each week as part of their core curriculum. This helps them to build upon their learning in other lessons and to develop new skills and interests. We want all Wren students to be confident, to feel challenged and to know that their talents are recognised and celebrated. Whilst we feel our lessons and enrichment help to make Wren an exceptionally rewarding school to attend or to work in, perhaps the most unusual thing about the Academy is the quality of the relationships you will find here. Students at Wren like and respect each other and value their opportunities to learn. They get on exceptionally well with staff, so adults and students work together in a productive and trusting atmosphere. Students are given a high degree of responsibility and thrive on it. Student leadership is at the heart of our philosophy with student curriculum advisers, lesson observers and interviewers working along a more traditional student council. We believe that Wren students are given unequalled opportunities to learn, to encounter positive life experiences and to excel. Underpinning all of our work with students and staff is our Christian ethos which we hope permeates all aspects of our work at Wren. After looking at the website, we hope you will feel that Wren is the kind of school you would like to work at. If you were to join us, we can promise you an exciting, rewarding and challenging professional experience. We believe that you are sure to learn a lot and to become a better professional as a result. That is certainly the case for those of us currently working at the school. We can also promise you the opportunity to work with a uniquely welcoming and talented staff team. If you would like to see the school at first hand then you are very welcome to come and visit us at work. Please click here to contact Karolina Lizakowska to arrange a visit or contact her by phone on 020 8492 6000. The recruitment of excellent staff is always a key priority for us at Wren. The school has the highest professional standards and a welcoming and supportive team. We hope that you will want to join us. 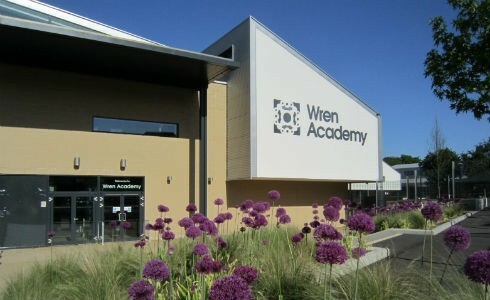 To register an expression of interest in working at Wren Academy please click here. To view our current vacancies, please click on the links below.